Where do I even begin with Undertale? Since, experiencing this game, I’ve become “slightly” obsessed. So many thoughts are running through my mind, and I can’t even write about it in here. If you have read any other reviews for this game, then surely you’ve read that Undertale is best experienced with as little spoiled as possible, and that is absolutely true because anyone who cares about this game knows how impactful a blindrun can be in this particular case. The funny thing is that I went into this game expecting to be disappointed due to the endless praise it has garnered and the simplistic, retro art style (as shallow as that sounds). I was dead wrong. 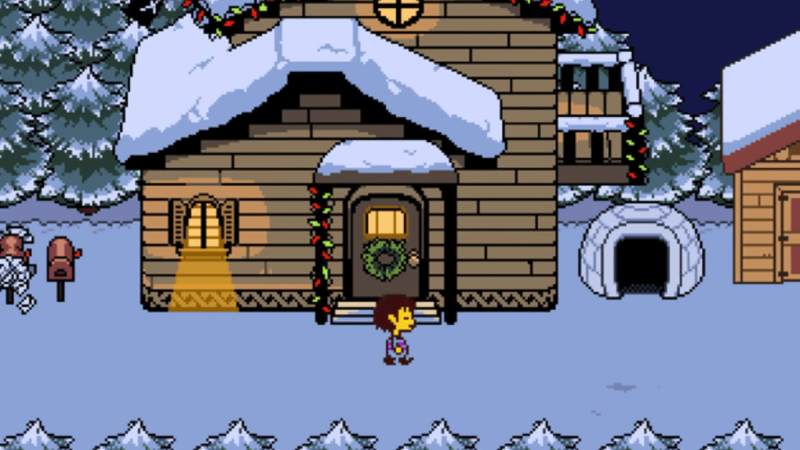 Undertale is a video game that every gamer should play at some point in his or her life. To explain the story in basic terms: A child falls down a cave and wakes up in an underground civilization inhabited by monsters. The child must then journey to find a way back to the human world. 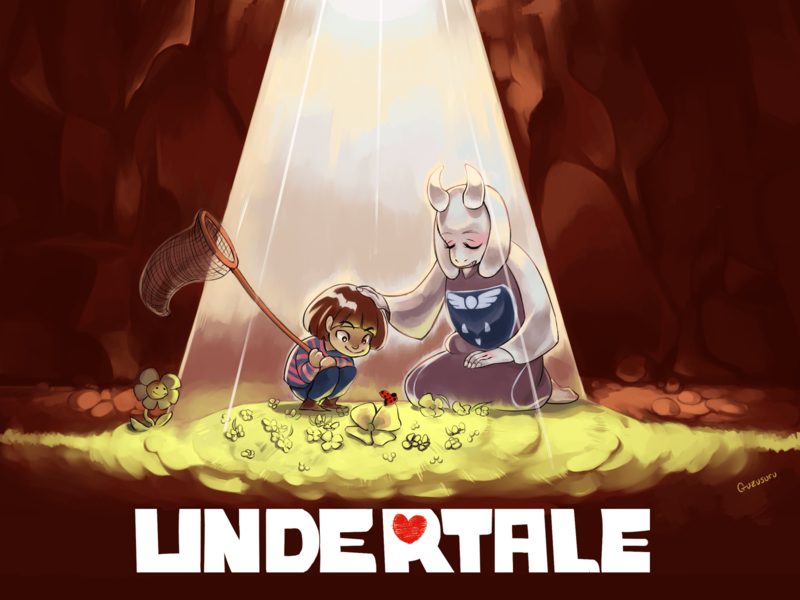 Like any story, it’s all about the journey taken, and Undertale fires on all cylinders with humor, emotion, terror, and joy. This ode to the Mother/Earthbound series challenges everything you know about standard RPG mechanics and video games in general. Each encounter gives you the option to “Fight” or “ACT” an enemy. Fighting enemies will increase your stats to strengthen your character in a traditional manner. ACT is more complicated; instead of fighting, you can talk to the enemies to passively defuse the encounter. There are pros and cons to each approach, but both are perfectly viable for progression. If I were to give one criticism, it would be for the menu navigation during combat. Occasionally, incorrect prompts were accidentally entered thanks to me losing track of which option was highlighted. Each encounter is set to a “Bullet Hell” combat sequence where various projectiles and obstacles are thrown at you to dodge. It is here where the game artfully displays its enormous creativity. Combat never gets stale because each enemy has a completely unique attack pattern that best represents their personality, in often hilarious nature. Seriously, I can’t even begin to describe how different each encounter is from one another. The scripting for Undertale is, without a doubt, the best I’ve ever seen in a game. Toby Fox, Undertale’s creator, accounts for practically every interaction you can have in the game no matter how minute. Needless to say there are tons of hidden secrets waiting to be uncovered. This, seemingly impossible, attention to detail, made by just ONE person, is mind blowing. AAA games with multimillion dollar budgets struggle to scratch the surface. The shear passion put into Undertale is ever apparent and never fades. 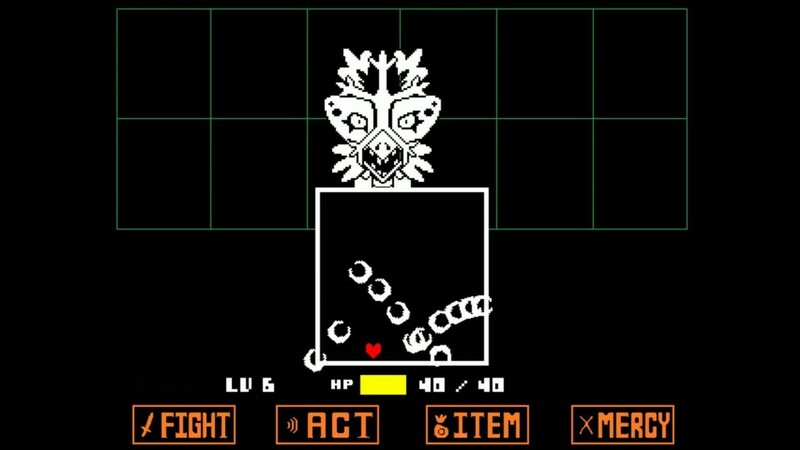 Many will be turned off by the retro pixel art, but a game like Undertale could really be done no other way. It’s a testament to the notion that graphics aren’t everything. Calling the soundtrack “brilliant” is being modest. Every track captures exactly the right emotion that’s supposed to be felt. Once again, to think this entire soundtrack was also created by one person, Toby Fox, is mind blowing. I probably appear to be gushing over the game too much, but it can’t be helped. I’ve never experienced a game quite like this that does everything so well. Just when I think Undertale can’t get any better, it finds a way to surpass expectations. Its use of story-gameplay integration is, by far, the best I’ve ever seen. A lot of bold statements have been declared in this review, but Undertale doesn’t hold back in its determination for quality. If you don’t find the graphics appealing, play it anyway. If the tone of the game feels too childish at first, play it anyway. If you are unsure about the gameplay style, play it anyway. 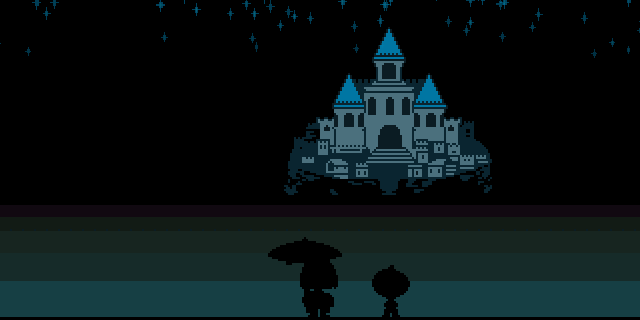 Undertale will be an experience you won’t soon forget. Ironically, after all that’s been said, I will likely never play this game ever again.